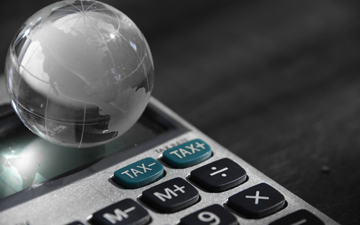 OTTAWA, July 11, 2018 – The accounting practices of Canadian multinationals are now subject to a higher degree of tax scrutiny, as the first international exchange of revenue information between countries is underway. “I am pleased to announce today that Canada has successfully initiated its first round of exchanges of Country-by-Country reports,” said Minister of National Revenue Diane Lebouthillier yesterday in Ottawa. As one of 69 nations, Canada will exchange information on the revenue, profit, tax and accumulated earnings information of large multinational enterprises, as part of base erosion and profit shifting (BEPS) project undertaken by the Organisation for Economic Co-operation and Development (OECD). Under country-by-country reporting, “Canada now has automatic access to more information and data that will allow the Canada Revenue Agency to better risk assess large multinational enterprises, those with an annual consolidated revenue of over 750 million euros, and to better target its efforts and resources,” according to the Canada Revenue Agency. This group formed in response to a call to action from the OECD for countries to do more to tackle the enablers of tax crime. Successes, new approaches and findings from these joint efforts will be shared with the greater tax enforcement community. “The formation of the J5 demonstrates the serious commitment of governments around the globe in enhancing international cooperation in fighting serious international tax and financial crimes, money laundering, and cybercrime through the use of cryptocurrencies,” says Johanne Charbonneau, the director general of the CRA and the former chair of the board of directors of CPA Ontario. In its first meeting, the J5 brought together leading experts in tax investigations and financial crime, cybercrime and big data analysts from each of the five member countries, according to the CRA. It developed tactical plans and identified opportunities to pursue cyber criminals and enablers of transnational tax crime. The J5 will do this through the sharing of data and technology, conducting operational activity and taking advantage of collective capabilities. Each member country has committed to dedicating one full-time resource to the group, with the possibility of expanding to include additional part-time resources to support specific projects.